I admired Robin Williams’ wit, ability to think on his feet and smile. I will miss him. His suicide by hanging himself with a belt is a shock. Why would a successful actor commit suicide? 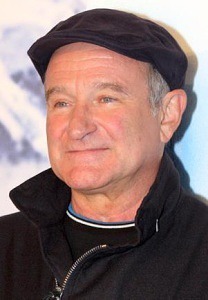 Robin had at least three of these risk factors as a white male with a history of substance abuse. He had an addiction to cocaine and alcohol. Suicide is the 10th leading cause of death among Americans. Every 15 minutes someone dies of suicide. And for every person who dies, there are many more who think about, plan or attempt suicide. The Center for Disease Control says that while its causes are complex and determined by multiple factors, the goal of suicide prevention is simple: Reduce factors that increase risk (i.e. risk factors) and increase factors that promote resilience (i.e. protective factors). Ideally, prevention addresses all levels of influence: individual, relationship, community, and societal. There are several effective antidepressants on the market that bring relief of symptoms for those challenged by depression. There is no need to suffer. Lives can be saved by confronting depression. Med League assists attorneys by summarizing mental health records, among other kinds, and locating expert witnesses. Contact us for help with your next case.